Yes, tangled is on my list because of male POV! Read already some excerpts .... I havenÃ‚Â´t decided yet. The Edge of Never is on my list as one of the next books to read but I am really a little afraid to read them ... because of the deep emotional rollercoaster a few people hinted .. What do you think? Maybe waiting for the second book? Yeah, the hunger games, IÃ‚Â´ve read, too. But it is hard stuff. Even if it is only fiction. I'm so happy we have a few good reads in common!!! Seven Years to Sin by Sylvia Day. Need I say anything? I love love and love it!!! Water for Elephants by Sara Gruen. I love the story so much, and the structure of the novel, too. Young Jacob learned how to be a man the hard way, butÂ carved himselfÂ a happy life, and Old JacobÂ finds a wonderful, lovelyÂ way to endÂ 'his' novel. I wouldn't have seen it coming, ever!!! The Hunger Games by Suzanne Collins. Well, this is supposed to be children's stuff butÂ WHAT issues the novel tackles with!!!! and I loved the way SC avoided being obvious. The Kite Runner by Khaled Hosseini. I liked it, but it's so sad a book I don't think I'll ever reread it. I'll have a look to my bookshelves and see if I can find anything interesting. I just want to thank all the ladies who have shared the books they loved. My reading list is waaaay longer now!! I'm looking forward to start reading them....Â I'm afraid my purseÂ is going to have a conniption!! And each book have more than 500 pages! Hi SME....The Edge of Never was emotional, but a good read. The second book continues their story, but the first one doesn't leave you w/ a cliffhanger. I got it b/c of it's good reviews, plus it was on sale for $.99 ! So worth it! I know Gabri....IÂ didn't want toÂ reread The Kite Runner either...Hosseini has a new book out now that I'll probably read. Water for Elephants and The Hunger Games series I re read b/c they were so good. I got a bit teary reading those too. I just noticed those three were made into movies....Saw WfE ( I liked it) and THG...but I couldn't watch TKR...that would've been too much for me. OH! I forgot to add Casual Vacancy to the non-romance list...It's the first I've read from JK Rowling (never read harry Potter...I know...I know). That was great too...pretty emotional . IÂ haven't seen the THG movie, is it as angsty as the book is? Temptation #1, Satisfaction #2 and Fulfillment #3. Book 1 and 2 already in market and book 3 will be published in July 12, 2013. This is a funny love story about married woman and alpha male but don't judge too soo. Try to read it first. This series has a very high ratings in Amazon and Goodreads. This is a sad and beautiful love story. About a broken man with the past (just like Gideon ) and a nice but sad woman. Champagne Showers, Shattered and Surrendered. This is a story about a widowed woman and a millionaire man. It is fun to read it. Search this series on facebook use keyword Glass Towers. I also like Knight Series by Kitty French. Welcome to the forum and I hope you enjoy yourself. I've just read Release me and Claim me by J.Kenner. Read the first yest and the 2nd one today!! I really enjoyed it, no where near as good as Gidevas story but it was still good!! Well, I will see ... I will wait a little while ..
No, I am so hooked with fanfiction ..
Just wanted to let the ladies who have read Christina Lauren's Beautiful and Beautiful Stranger know that the continuation of Chloe and Bennett's story was released today. It's called Beautiful and I very much enjoyed it this afternoon with a cold beer in the sunshine. Thanks GiGi, I hope that so. I just bought Gone Girl (Gillian Flynn) and the latest Anita Blake, Vampire Slayer novel (Affliction, Laurel K. Hamilton) for next week's vacation.Â I'll probably be seeking wifi mid-route for additional downloads! For those of you who are romance fans, a friend of mine recently published her second Harlequin Special Edition and I enjoyed it (though I would have preferred a slightly different ending).Â Her name is Amanda Berry, and her two (unrelated) novels are L.A. Cinderella (great fun) and Father by Choice.Â The thing I liked best about Father by Choice is that while the heroine knows exactly how she feels about the hero, he doesn't see her the same way at first.Â The way he comes around to admitting to himself how he feels about her felt unusual and realistic to me. 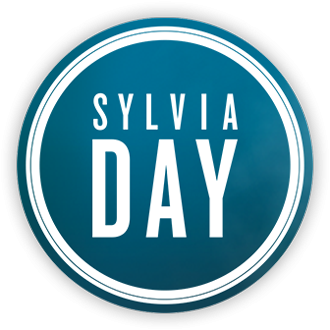 I really enjoyed Fifty Shades (despite its literary flaws, there's a good story there, IMO) and the Crossfire books are my first experiences with Sylvia Day.Â Obviously, I love them!Â Thanks for all the great suggestions; I'll be working my way through some of your reading lists! I have heard so much about Gone Girl Claudine and ladies. I think that may be the next book that I read.